What a difference a week makes. Last Sunday I came to you with the glorious news that perhaps there was a chance of a new Dodge Viper. The Viper is all that is right with the American car industry as a whole, it’s aspirational but attainable, it’s fast, rowdy, and a little bit scary to drive. I was excited at the prospect of a new snake-head-shaped Dodge supercar, and I fell for the ruse. I come to you on this sad Saturday morning with hat in hand to tell you, dear reader, that I was wrong. Sergio Marchionne made a liar of me when, during a Q&A session on Friday, he shot down the idea of a new Viper any time soon. 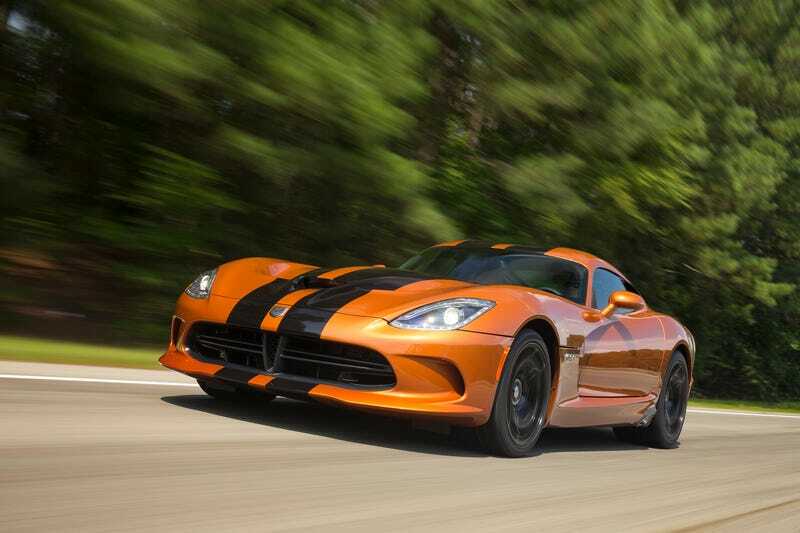 Automobile Magazine’s Todd Lassa reported the disappointing news that a new Viper is “not in the plan”. Marchionne added that the halo Dodge wasn’t a money maker, and wouldn’t work with the upcoming package of FCA sports car engines. Sergio didn’t completely give up on the idea, reportedly commenting that he would be happy if FCA could find a way to get it done. Perhaps not all is lost for the future of a Dodge supercar, however. At the same FCA 5-year plan announcement, Alfa Romeo was said to have a new 8C coming with a mid-engine carbon monocoque, and over 700 hybrid horsepower. I’m only spitballing here, but perhaps Dodge could adapt this super advanced chassis to their halo car needs, perhaps without the electric gubbins. It would certainly be striking enough to pull folks into Dodge dealers and get people talking about non-Hellcat Dodges again. It wouldn’t be the first time in history a good old American V8 found its way into an Italian mid-engine chassis. Okay, that one might be a little far fetched, even for me.